The collaboration of a regulatory agency with the industry which it is supposed to regulate raises the risk of undue influence. Next week, the National Pharmaceutical Pricing Authority (NPPA) is going to hold a seminar on “accessibility, affordability, and availability of medicines for all”. But the event is being co-organised with the Federation of Chambers of Commerce and Industry (FICCI). The agenda of the event states that the seminar is an initiative of the NPPA but a perusal of the agenda itself shows that FICCI will have a very close role to play. As per the latest version of the agenda, the co-chair of the FICCI pharma committee is delivering the vote of thanks. The NPPA has the mandate to regulate the prices of medicines in India and is expected to act independently. The rationale of establishing the NPPA was to entrust an independent authority to act as the watchdog for medicine prices without the undue influence of the government and private sector. The primary function of the NPPA is to determine ceiling prices of essential medicines as mentioned in the national list of essential medicines (NLEM) It also has the power to monitor prices of all medicines in the market and ensure that they are not increased by more than 10% every year. 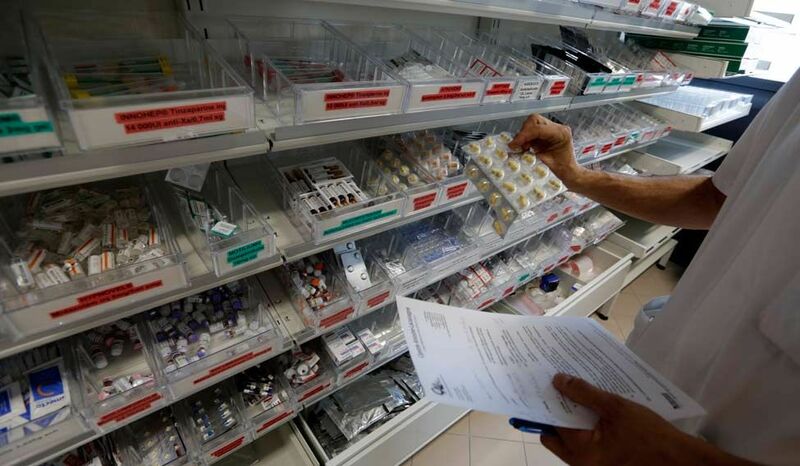 Most importantly, under the Drugs Price control Order (DPCO) 2013 , the NPPA can cap the price of any medicine, including medical devices notified as drugs under the Drugs and Cosmetics Act. This makes the NPPA a powerful regulator. On the other hand, FICCI is a business association whose membership comprises both Indian and foreign pharmaceutical and healthcare firms. The list of the sectoral committees on FICCI’s website shows its direct interests in the regulation of medicine prices. These sectoral committees include pharmaceuticals, e-pharmacy, health insurance, health services, intellectual property, medical value travel and wellness. The NPPA is not the only regulator displaying a conflict of interest. The Food Safety and Standard Authority of India (FSSAI) inducted people having a direct link to the industry as part of its expert panels. In addition, the FSSAI also entered into at least two partnerships with the involvement of industry actors – the resource centre for health supplements and nutraceuticals ( ReCHaN) and the CII-HUL initiative on food safety sciences ( CHIFSS). Furthermore, the FSSAI collaborated with Nestle to set up the Nestle Food Safety Institute. In 2015, the Competition Commission of India (CCI) chief attended as a keynote speaker an event sponsored by Ericsson Technologies, which is under investigation by the CCI. Apart from regulatory agencies, other institutions too entered into partnerships with industry, posing institutional risks. For instance, the partnership between the Indian Council of Medical Research (ICMR) and Pfizer on antimicrobial resistance (AMR). According to a news report, Pfizer still provides incentives to its sales team for pushing antibiotics – one of the reasons for AMR. Such a partnership is a matter of grave concern and has implications for the ICMR’s response to AMR. In its 2015 submission to the United States trade representative (USTR), the US India Business Council (USIBC) states that it conducted a training session for staff of the patent office. USIBC, whose members include many corporations which have filed patents in India, is known for its stand against public interest flexibilities in the Patents Act. Its training of patent office staff clearly generates a conflict of interest. During the Novartis case, a Supreme Court judge had to recuse himself due to his participation in meetings financed by industry associations. There is no mechanism to access the declaration of interest forms of government-appointed committee/expert panel members. The industry always opposes the expansion of price control on medicines. In the past, transnational pharmaceutical corporations approached the USTR, citing price control as a reason to initiate action under the Special 301 report and remove certain tariff concessions available to India. AdvaMed, the US medical devices industry association, petitioned to the USTR for the full or partial withdrawal of the general systems of preference (GSP) concession to India, citing the ceiling on prices of coronary stents and knee implants. FICCI members include some companies which are part of the aforementioned petitions. The private sector has various ulterior motives to collaborate with regulators – from changing its image to unduly influencing decisions (regulatory capture). This seriously undermines a regulator’s purpose. A watchdog like the NPPA collaborating with pharmaceutical companies would undermine public trust. A hypothetical parallel would be if the Supreme Court enters into a partnership with a business association on enhancing the understanding of corporate law. The popular definition was developed by the committee on conflict of interest in medical research, education and practice, appointed by the Institute of Medicine (IOM). According to this definition, a conflict of interest can be described as “a set of circumstances that creates a risk that professional judgment or actions regarding a primary interest will be unduly influenced by a secondary interest”. However, the traditional concept attributes such risk directly to financial interest, instead of a vague “secondary interest”. Thus, it is clear that the risk of undue influence creates a conflict of interest – even before the influencing has occurred. One may argue that we live in the era of partnerships and, therefore, there is nothing wrong with a regulator collaborating with stakeholders. This argument emanates from the wrong assumption that all partnerships would lead to public good. Scholars working on institutional risks, such as Jonathan Marks, say that working together is not always a good idea and cite the principle of separation of powers. In a democratic structure, the legislature, executive and judiciary are separated to ensure checks and balances. Similarly, it is important that regulatory watchdogs keep away from the entities to be watched. There is an urgent need to protect the independence, integrity and credibility of our public institutions by enacting a law against such institutional risks. K.M. Gopakumar is a researcher associated with the Third World Network (TWN). TWN is an independent, not-for-profit organisation that carries out policy research and advocacy on issues around trade and development, with a focus on third world countries.